Look at the look on that face. That means some serious business is about to go down. 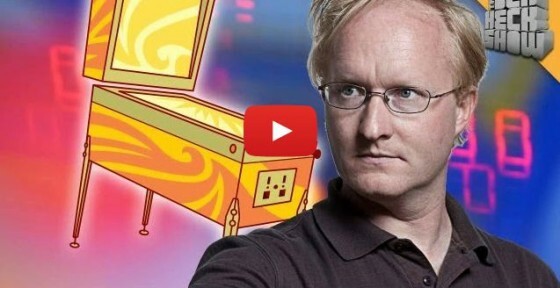 It’s the latest Ben Heck show, where he details how to build a pinball machine. There’s some in-depth stuff in here, folks. We also get a few glimpses of what his new game, Ghost Squad will look like. Ben gives an overview of what it takes to build a pinball game and goes into detail on the electronic aspects on his Ghost Squad pinball game.